Pioneers in the industry, we offer digital rockwell hardness tester, portable rockwell hardness tester and rockwell hardness tester from India. Being the foremost organization, we rule the market by offering an exclusive collection of Digital Rockwell Hardness Tester. 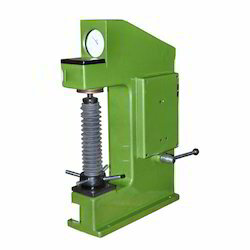 The offered product is suitable for testing on Rockwell A, B, C scales. Apart from this, our hardness testers are ideal for test loads of 60, 100 and 150 KGS. We are an accomplished organization which has gained name and fame in providing Portable Rockwell Hardness Tester to the customers. 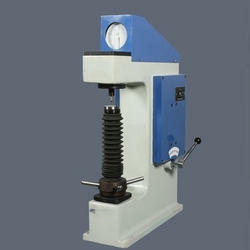 We are offering a vast array of Rockwell Hardness Tester.